Japan’s rural towns have mainly been facing the same big challenge for the past decade: A migration to urban centers for work has left them with declining populations, which leads to a further decrease in job opportunities that makes them less attractive places to live if you’re young and starting a family. In order to combat this vicious cycle, a town needs a secret weapon of sorts. 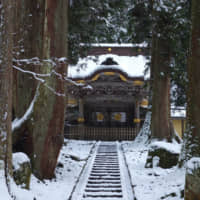 In Eiheiji-cho, Fukui Prefecture, it’s no secret that their weapon is Daihonzan Eiheiji, one of the two major temples in the Soto sect of Zen Buddhism. 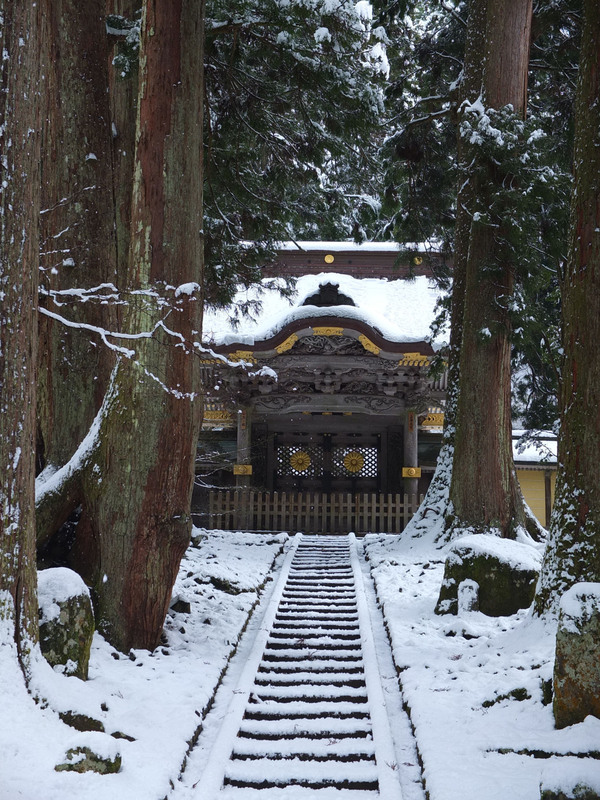 The temple was founded in the 13th century by the priest Eihei Dogen (1200-53), who was instrumental in bringing Zen and its practices to Japan. The temple has therefore attracted a number of visitors from around the world who stay there as Zen trainees from anywhere between one night and a couple of months. Occasionally, however, one of these guests decides to stay. Amil Khanzada stayed. Born and raised in California’s Bay Area to immigrant Pakistani parents, the now 27-year-old Khanzada graduated from the University of California, Berkeley, with a degree in computer science before landing a gig as a software developer in California’s Silicon Valley, and then jobs in Tokyo’s technology sector. Fast-paced lifestyles are a hallmark of both Silicon Valley and Tokyo — the former fueled by the speed of America’s powerful tech sector and the latter fueled by a workforce that runs on dangerously long hours. It was in Tokyo, though, where Khanzada met a Japanese student who wound up changing his life. He was “peaceful” to the point of seeming as if he’d achieved enlightenment, and his hometown was Eiheiji-cho. Khanzada had grown up with an interest in yoga and meditation, so he decided to visit the town. Eventually, Khanzada began meeting the monks at Eiheiji temple, and his positive interactions with the townspeople led to his decision to stay. If it seems as if Khanzada is trying to sell you on the place, that’s because he kind of is. The former tech worker is now Eiheiji-cho’s “evolution ambassador,” a position that has allowed him to emerge himself in the area’s Zen culture and one in which he can give back to his community by sharing with it his Silicon Valley know-how. His goal is to turn this corner of the Chubu region into a place of rest, respite and technology. “I decided that the purpose of my life was to contribute at my highest capacity to society with the gifts given to me, and that is what I am most passionate about,” he says. With the help of some locals, Khanzada founded ZenIT, a nonprofit dedicated to teaching computer coding and work-life balance through Zen teaching. “ZenIT is a movement to revolutionize the way the world works by combining cutting-edge technology from Silicon Valley with the peacefulness and happiness of Eiheiji and Fukui,” he says. 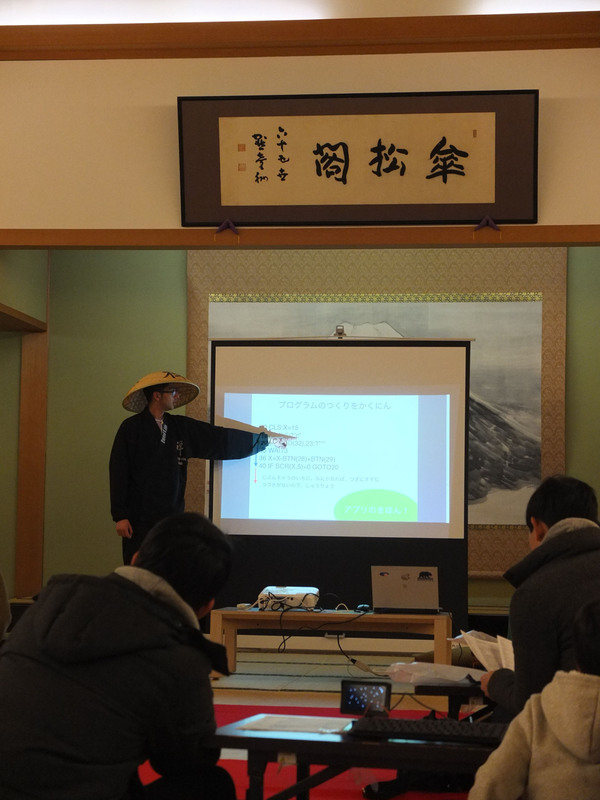 This past winter, I visited Eiheiji-cho to take part in a ZenIT workshop supported by volunteers, regional businesses, NPOs and the municipal government. The experience consisted of a meditation experience at Daihonzan Eiheiji, a Buddhist vegetarian lunch and a computer programming workshop that cost me ¥2,500 in total, though prices vary for different activities. 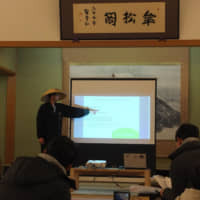 The activities started unofficially the night before the workshop at the home of Mika Yoshikawa, an Eiheiji-cho resident who heads a number of NPOs and leads initiatives designed to forge bonds between various members of the local community. She prepared a nabe (hot pot) party for a group of townspeople, some students from nearby Fukui University, three Vietnamese trainee factory workers, a Brazilian IT worker and his Chinese wife, an American and a Spanish butoh dancer who was training at the temple for a few months. There were around 30 of us in total. The Vietnamese guests made pho for the group and there was a real sense of cultural exchange at the party. While there was a lot of small talk about the food, and Japanese food in general, it was really interesting to listen to the university students talk about their ideas on internationalizing Fukui. It had snowed heavily the night I arrived, and the morning of the workshop was bright, clear and cold. I made my way over to the main building in the Eiheiji temple complex, where 20 people (some from the nabe party) took part in a zazen seated meditation session led by one of the monks. We sat cross-legged on cushions on tatami mats for the 20-minute meditation. Closing my eyes, I focused on my breath. The monk told a story in Japanese of how one of his good friends passed away when he was a college student, and how painful it was. He came to the conclusion later on, however, that death is a constant part of our lives. The best way to honor his friend was not to wallow in pity but to use the time he has on this Earth in a meaningful way. My takeaway from the story was that it is important to focus on the current conditions of our existence rather than worry too much about the present or the future. The vegetarian lunch, which in Japanese is referred to as shōjin ryōri (temple cooking), included tofu and various soy products. The food was refined and subtle, and incredibly delicious on a cold day. The most interesting part of the lunch, however, was that it was eaten in silence. When training to be a monk at Eiheiji you are not allowed to speak during meals in order to encourage focus and dedication. Even though we went to a restaurant, Khanzada wanted us to have the same experience as those at the temple, and asked us to try to remain silent. At first it didn’t feel as if the morning and afternoon sessions were connected, but Khanzada says that he is trying to instill the foundations for achieving a healthy work-life balance by introducing meditation combined with noncompetitive pair work. If visitors can gain a sense of how to bring some of these elements into their own lives, he believes it might help alleviate the issues of stress and isolation that come with the fast-paced life of living in modern Japan. If Japan’s towns need a secret weapon to compete with the lure of the big cities, perhaps an army of evolution ambassadors might do the trick. For more information on ZenIT, visit www.zenit.jp.